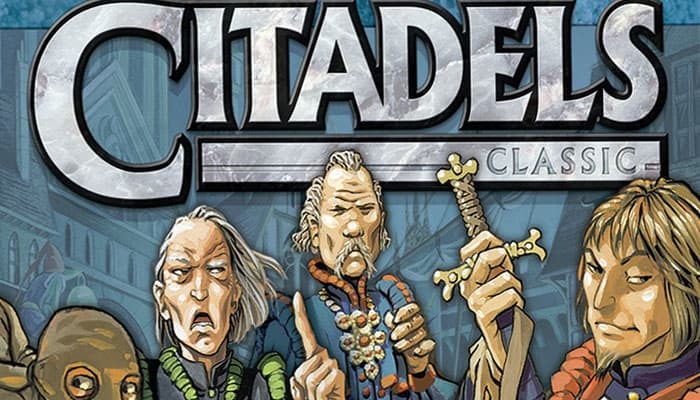 Citadels is a German-style card game of nobles, intrigue and medieval cities. 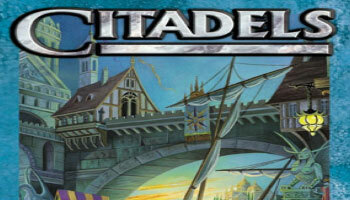 Each player leads a city and seeks to increase its prosperity by building new city districts. Beware, it's not an easy task as you need to influence nobles, warlords, merchants and other powerful characters of your realm. 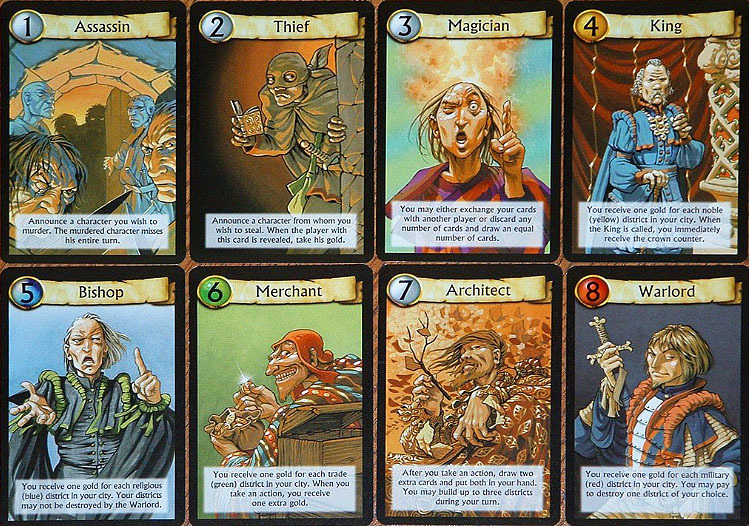 The hiring of different characters from architects, magicians, bishops to thieves, adds a decent level of strategy to the gameplay as each character has its own special ability. The usefulness of them depends on your situation and on your opponents. On your road to victory, you must also wisely spend your gold, bluff, intimidate and outmaneuver your rivals. On a turn, a player earns gold and optionally purchase and constructs one building. Each building is worth a certain number of points. The game ends after one player has built his 8th district, after which a winner is determined by how many points his completed city is worth. Remove the bonus character and district cards (marked by a white star). Shuffle the eight remaining character cards together into one deck. This is called the Character Deck. Shuffle the remaining district cards together into one deck. This is called the District Deck.